Lotus Foundations was announced last year at Lotusphere 2008. At the time, I didn't pay too much attention to it because, honestly, I didn't understand it. At this year's Lotusphere, I had the chance to attend a session and also meet one of the biggest evangelizers for it: Bilal Jaffery. The Lotus Foundations promise ? Get up and running with a server that has a web server, FTP, email, firewall, anti-spam, anti-virus, scheduled backups, automated maintenance, and (optionally) Domino in less than 30 minutes! Well, it took me a bit more than 30 minutes, but the blame is on me for not reading the instructions! You see, if you don't get the appliance, you get a CD that you put into your server. I had a spare computer in my house, so decided to burn the 100MB CD (that's pretty small for everything it can do!!) and put it into this old Windows XP box. After 2-3 minutes, the computer started and showed a couple of red boxes with some instructions (these are the ones that I didn't read!!). I closed those boxes and then was sent to a status console. I couldn't do much. I thought..."where's that nice, easy to use graphical user interface I saw at Lotusphere?" Since I couldn't figure it out, I restarted the box and then chose 'Diagnostics' from the start up menu. I ran through all the diagnostics and everything was fine. The last 'test' was a "Burn-In Test". I'm not really sure what it is, but it was a BIG mistake to select it. After 24 hours, it was still running! I was definitely missing something, so I canceled that test and decided to reboot. This time, I chose Lotus Foundations and read the instructions! The instructions in the red box told me to open a browser to http://<ip address>:8043 where <ip address> was the IP listed right there in front of me. I opened a browser from my Mac in the network and lo and behold, I got to the Foundations setup screen. I added one user for myself under 'User Setup', configured the web server, the email server, and set the DNS server to dynamic (since I have a dynamic IP). This must've taken probably about 10 minutes! 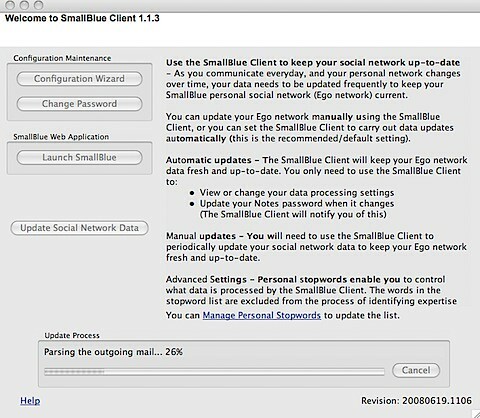 Next, I configured my Mail application in the Mac to send / receive emails. I could receive but I could not send. Then, the final step was to open my home router to forward all requests to ports 25 (smtp), 80 (web) and 110 (pop) to my new Lotus Foundations server. Oh, and I had to change the nameservers for my domain to point over to dyndns1.ivivanet.com (this server will automatically update my domain's IP when my IP is changed by my cable modem provider). When I first sent a test email to my Gmail account, the email bounced because I didn't have a static IP address (see above) and Gmail rejects those types of emails to reduce spam. I did a search over the Lotus Foundations documentation and found the solution to the problem. After implementing the qmail approach (don't ask me what qmail is), I was able to send emails to Gmail! Overall, it's definitely very easy to set up. If I would've read the instructions, I would've been done in less than 15 minutes. Therefore, I wish the initial instructions were a bit more clearer (for people like me who don't read instructions :) ). Also, the setup instructions on the web site are ok (like everything else). I think they need to be a little bit more detailed though. I definitely recommend Lotus Foundations for small and medium businesses, and even for those of you who want to run your own domain from your home. Who says blogging is a waste of time ? What a great example right here. 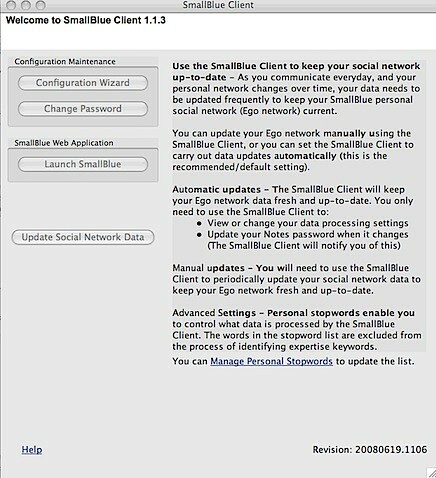 You may remember that on Monday I blogged about my first Lotus Notes 8.5 application for the Mac. Now, I originally started this project last summer! That's right over 6 months ago. When I hit the roadblock that I documented on Monday, I quickly started to search the web. Nothing turned up an answer. Since Notes 8.5 was still in beta at that time, I decided to abandon the effort. When Notes 8.5 shipped earlier in the year, I thought it would be a good idea to pick up the project again. I knew that if I hit a roadblock, I could get official support. Well, as I said earlier this week, I was stuck because I couldn't call the Notes API from my SWT Java program. At that point, I blogged about my status, and quickly summarized what I had done up until that point. I also noted that I had opened an IBM Support ticket and was waiting for assistance. And then magic happened! 1 hour and 22 minutes after I posted the blog, the answer came to me!!! Karsten Lehmann, one of the developers for MindPlan, kindly posted a comment detailing that he had gone through the same issue. He suggested a couple of things, I responded back and voilá! At this point I could get my application running beautifully under Eclipse, but I couldn't run it as a stand-alone application. Time to do some more searching!! After a couple of days, I finally figured it out. First, Eclipse includes a really cool feature that lets you export your Java applications as Mac Bundles. 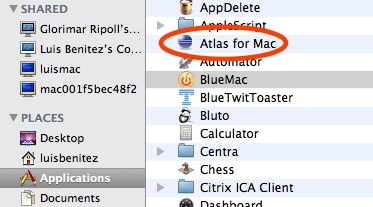 And now, IBMers can use Atlas from their Mac computers! If you are following me on Twitter, you know that I've been doing some Dojo development lately. While there's definitely a learning curve for Dojo (like with anything else) I'm now starting to appreciate its simplicity and power. This Dojo development is part of an internal BizTech project, for which i can't share too many details now. The idea of the Dojo widget is to give it a URL to a JSON output and have the widget render is data. I'm documenting the process here, at a high level, so I can reference it as I go forward with this project. I also hope it serves as a reference for other Dojo newbies (the Dojo documentation is not that great and I've been referring a lot to DojoCampus.org). This week I've been working on creating my first Java application for Lotus Notes v8.5 on the Mac. Now you may be asking how this can be my first Java application for Notes on the Mac since I already hacked Lotus Notes to include the Activities sidebar. While that is a Java application, it's not one that I created and second it's really an Eclipse plugin that runs inside of Notes. 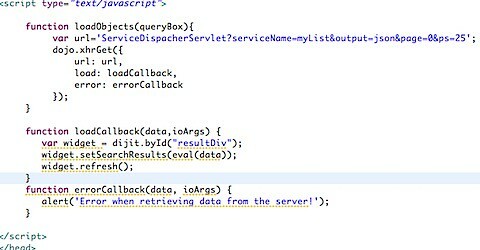 What I'm trying to do is create a Java application that runs outside of Notes, yet queries Notes for information. So what am I doing? Well, as a side project, I decided to port the code for Atlas to the Mac. The Atlas client is just a Java SWT application, so how hard could it be? The first step was to figure out how to actually get an SWT application running on the Mac. The folks at Eclipse have already documented this process and it's pretty straightforward. The key is to put in the SWT libraries for the applicable platform. Therefore, I removed the swt.jar and related DLLs from the Java application and put in the Mac OS X SWT.jar and libraries. Double-clicking the application, didn't do anything. Time to troubleshoot! I downloaded and installed Eclipse 3.4. Running the application from within the Eclipse environment shed some light on the problem: for some reason the Notes libraries could not be loaded by the Java Virtual Machine (JVM). 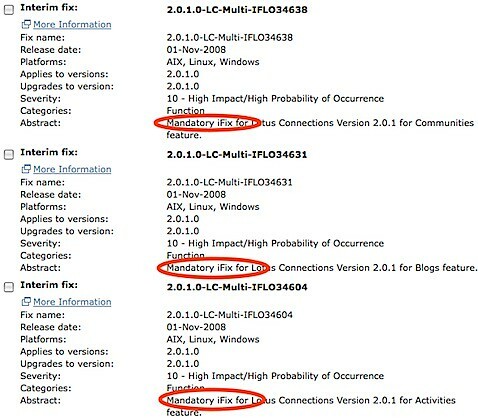 I posted a question about my problem in the Lotus Notes 8.5 forum and hope someone can provide an answer. Additionally, I've opened a PMR to get official help from IBM. To prove that it was just a Notes issue, I commented out all the code calling the Notes APIs. I recompiled, ran it and saw the following. So I'm almost there... as soon as I can figure out why I can't call the Notes APIs from my standalone Java application, I should be golden! Isn't Java great ?